1. Calcium is necessary for strong bones and vitamin D is critical to its absorption. Do you know how much of each you need each day? Get more information at your doctor’s office. 2. Eat a diet rich in calcium. You can find it in low-fat dairy foods such as milk, yogurt, and cheese. Green leafy vegetables and fish such as anchovies and sardines that are eaten with their bones are also good sources. 3. Build bone strength with gentle weight-bearing exercise. Walking is a great option. Consider adding a yoga or tai chi class to your weekly routine. 4. Tobacco use has been shown to leech calcium from the bones. It’s time to quit. Modern medicines can help. Talk to your doctor about giving one a try. 1. Visit your podiatrist regularly. Osteoporosis, a disease which affects bone density, often manifests through symptoms in the feet. 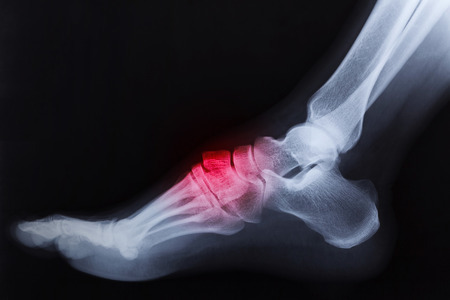 Your foot doctor can monitor you for signs. If you are worried about bone health, or if you have any other concerns about the health of your feet, ankles, or lower legs, it’s time to see your podiatrist. With years of specialized training and experience, a board-certified foot doctor like Eric Kosofsky, DPM and Robert Rutstein, DPM is the best-qualified professional to help you. Schedule a convenient appointment in Hartford Podiatry Group’s modern, comfortable Hartford and Rocky Hill offices today. Call our staff at 860-523-8026 or click here to get started.